If you have any information about these crimes or any person(s) involved, you are urged to call Weslaco Crime Stoppers at 968-TIPS or submit a Web Tip . You do not have to give your name. If there is an arrest, CRIME STOPPERS will pay a cash reward of up to $1000, and you can remain anonymous. During May, an older Weslaco woman answers her phone and talked to a stranger. He said his name was James Marshall and that he worked for the Internal Revenue Service. He said she owed $3 thousand. The woman did NOT owe any money, but he convinced her to send him money. He asked her to send her gift cards. Before it was over, she was out over $9 thousand. Be careful if you talk to strangers. You are not obligated to talk to anyone. The scammers are just wearing. If you receive such a call, call the police. On Tuesday, April 17, 2018, an unknown person broke into a hours on Horn Avenue in north wen Weslaco. The burglar forced the front door of the house. This occurred about 7pm. If you have any information about this crime, call Weslaco Crime Stoppers at 956-968-8477, or leave your tip on this web page. An arrest will brim you a cash reared You always remain anonymous. If you have any information about this subject, you can contact the Weslaco Police Criminal Investigations Division (CID) at 956-968-8591 or If you wish to remain anonymous and possibly qualify for a cash reward, you can call the Weslaco Crime Stoppers at 956-968-TIPS (8477) or leave an anonymous web tip at our website: www.weslacocrimestoppers.com. 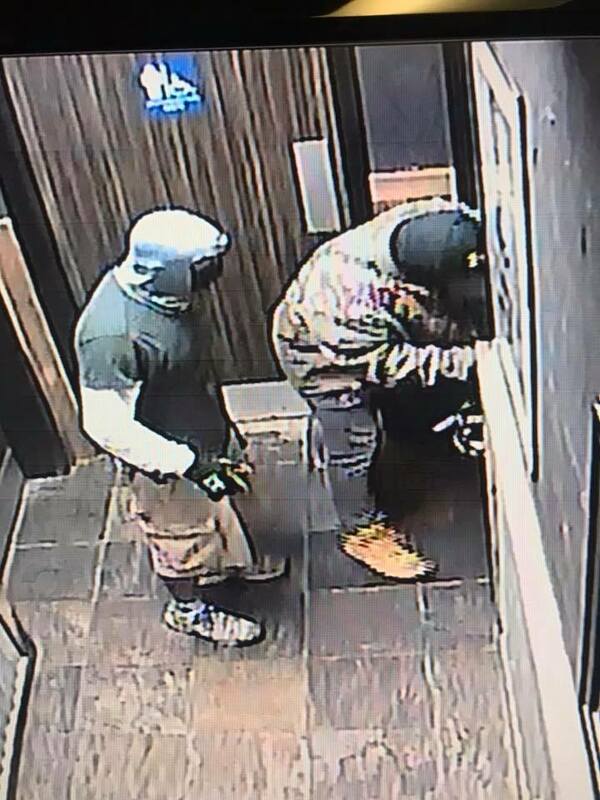 Peckers Bar and Grill was burglarized during the nighttime on Sunday, February 11. The suspect broke a front window to enter. Taken we some cash. The surveillance system shows the burglary's at work. If you have any idea who broke into this business, call Weslaco Crime Stoppers at 956-968-8477. Or, input your information on this wemsite. An arrest makes you eligible for a reward. As always, you are anonymous. A burglary occurred sometime during nighttime on February 1, at the Texas Agro life Extinction Service (2415 E. HWY ) . One or more interlopers cut a perimeter fence , them entering a workshop. Taken were 3 ladders, a pressure washer and a power wrench. If you have any information about this burglars, call Weslaco Crime Stoppers o, at 956-968-8477, or click on this area. An arrest makes you eligible for a cash reward. You remaining anonymous. On Saturday, Nonmember 25, a burglar entered a shop building and stole several pieces of equipment. This occurred at a residence in the 900 block of North Border. The shop door was left unlocked. Items stolen were 2-red weed eaters; a gas powered post hole digger; and a cement mixer. It is likely that the culprit sold the stolen goods on the street. If you have any information about this crime, call Weslaco Crime Stoppers at 956-968-8477. An arrest makes you eligible for a cash reward. Callers remain anonymous. Sometime before 8:45pm, on Tuesday, Nonmember 21, a burglar broke into a Hummer at Peter Piper P Pizza, 3101 E. H2. A window of the Hummer was broken, so that the burglar could get in. Among the items stolen ,were the following: a Doony handbag, several credit cards, , and an Apple IPad ( black cover). If you saw suspicious activity in the area or you have encountered any of the stolen items, call Weslaco Crime Stoppers at 956-968-8477 If your information leads to an arrest, you will be eligible for a cash reward. Callers remain anonymous. 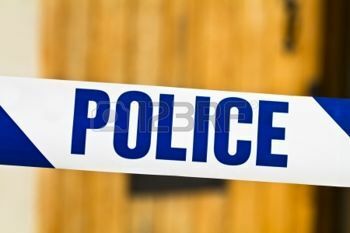 Burglary on South Bridge Avenue. On Monday, November 6, 2017, a burglar broke into an apartment in the 12600 block of South Bridge. This occurred between 7am and 3pm. A window was broken to gain entry. Taken from the apartment were an Apple I-ad (silver); a 30" Samsung TV; a 19" Vizio TV; and three wrist watches (a gold, a pink, a purple). No clues were left. If you have any idea who burglarized this habitation, call Weslaco Crime Stoppers at 956-968-8477. If you tip results in an arrest, you may receive a cash reward. And you remain anonymous. In the late afternoon of Friday, November 3, a homeowner reported that he house had been burglarized. To enter the house, the intruder broke glass in a rear door. The only items reported stolen were a Sony camera, maroon in color , and a pair of black and white tennis shoes. If you have any information about this burglary, call Weslaco Crime Stoppers at 956-968-8477. If your information leads to an arrest, you become eligible for a cash reward. You remain anonymous. Burglary on East 8th St.
On October 25, sometime before 8pm, a burglar entered a house on the 600 block of E. 8th St. Taken were a Mongoose bike, black and white, along with some cash. If you have any information about this burglary, call Weslaco Crime Stoppers at 956-968-8477. If you help to solve this crime, you become eligible for a cash reward. Callers are anonymous. Car Break-ins at Funeral Home. On October 24, 2017, a burglar broke into two cars at Hawkins Funeral Home on East Business 83. Taken were purses and their contents. These burglaries took place at about 7:3opm. If you saw anything suspicious at the funeral home around this time, call Weslaco Crime Stoppers at 956-968-8477. An arrest could earn you a nice reward. You remain anonymous. On August 14-15, someone entered an apartment in the 600 block of South Nebraska, and stole several items. Although the apartment was locked, no sign of forced entry was see. Taken were a Samsung 62" TV, a surround sound unit, purses and wallet, personal documents, and two medical bags with medications inside. If you have seen any of the stolen items, or have any other information about this burglary, call Weslaco Crime Stoppers at 956-968-8477. If your information leads to an arrest, you become eligible for a cash reward. All callers remain anonymous. A local business, Dad`s Pharmacy, 415 S. Airport Drive, was broken into on Saturday, Augurs 12, at about 8pm. 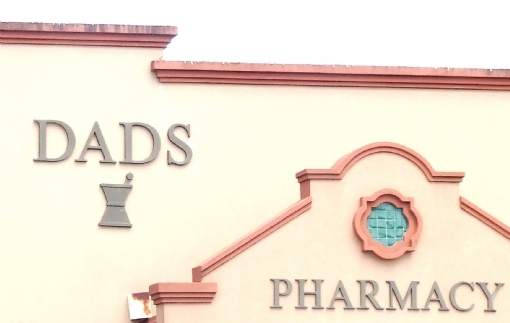 One or more burglars forced the rear door and stole prescription medicine. It is likely that the burglars(s) will sell the drugs on the street. If you have any information about this crime, call Weslaco Crime Stoppers at (956) 968-8477, If your information leads to an arrest, you are eligible for a cash reward. Callers remain anonymous. Weslaco Crime Stoppers shared Weslaco Police Department`s post. of the old Weslaco ISD Stephen F. Austin "bee building"
Sometime between July 14 and 21, an unknown criminal broke into four machines at 4 different locations. These include d Keystone Apartments (409 W. Business); La Estancia Apartments (3601 E. Pike); Santa Ana Apartments (3600 N. Westgate); and Palm Aire Motel (415 S. International). The suspect was able to defeat the locks on the machines and take the money from the money box. Police want information on persons,loitering around these locations . The burglaries likely occurred during nighttime. If you have information about these "Burglary of Coin Operated Machines" call Weslaco Crime Stoppers at (956) 968-8477. If your tip results in an arrest, you are eligible for a cash reward. Callers remain anonymous. was missing, and the units were not damaged. arrest, you become eligible for a cash reward. If you have any information about this burglary (such as someone tried to sell you the stolen items), call Weslaco Crime Stoppers at (956) 968-8477 or leave you tip on this website. If your information leads to the burglar`s arrest, you become eligible for as cash reward. You remain anonymous.